L I V I A: HOW TO ACHIEVE PEARLY WHITES NATURALLY WITH USING ACTIVATED CHARCOAL POWDER AND TOOTHPASTE! HOW TO ACHIEVE PEARLY WHITES NATURALLY WITH USING ACTIVATED CHARCOAL POWDER AND TOOTHPASTE! 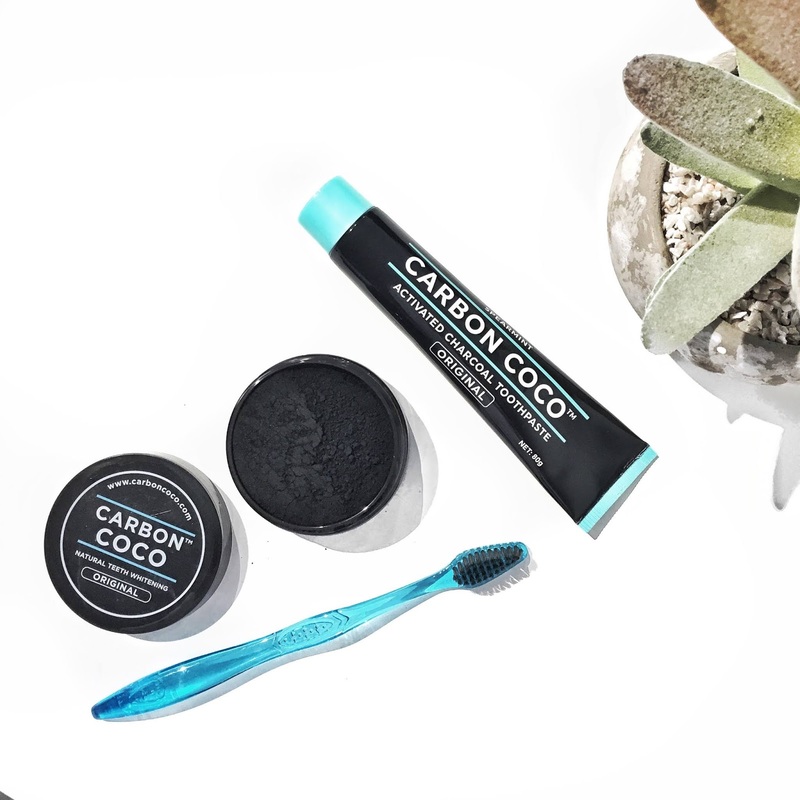 You're probably wondering...how on earth can I achieve whiter teeth with activated charcoal? 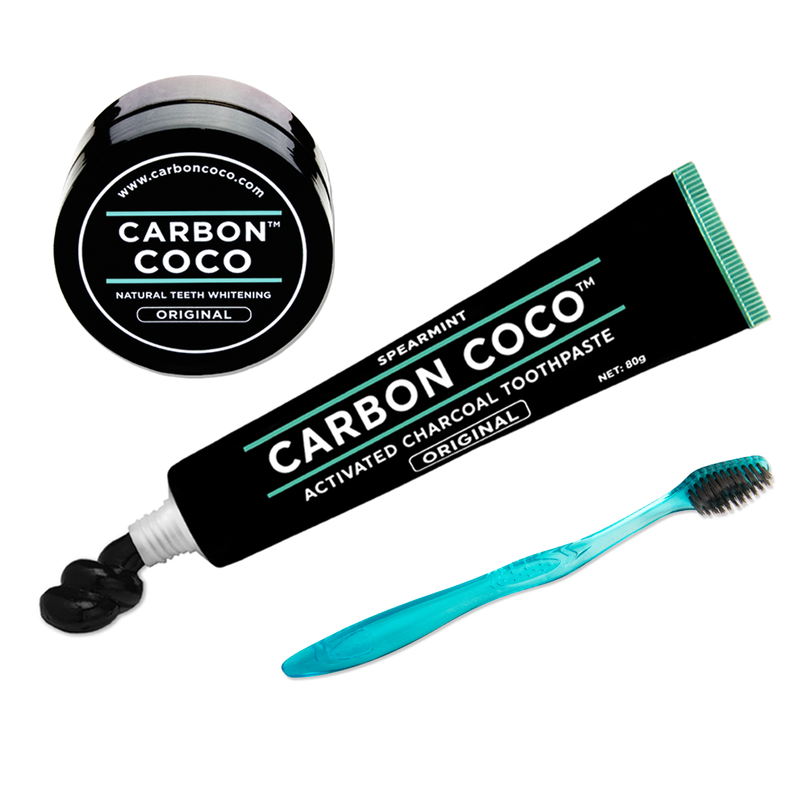 You guessed right...there's now a charcoal based toothpaste brand called Carbon Coco where they offer a range which helps to leave you with whiter looking teeth. Two products I tested from the range includes their Activated Charcoal Tooth Polish and Charcoal based toothpaste. At first look of the black powder, it may look a little unpromising but rest assured, it's such an effective product to help you achieve naturally whiter looking teeth. The finely milled charcoal is made from organic coconut activated charcoal, with a hint of Bentonite Clay and Lemon Myrtle. It's a super gentle formula which essentially works to remove any stains on your teeth. There is no harsh smell or taste which is very important! So I'd simply dip my toothbrush into the charcoal powder and brush gently in circles for about 2 minutes. Next, I'd rinse off and brush using the Activated Charcoal Toothpaste. The toothpaste has a formula which does NOT include any fluoride, but instead it contains activated charcoal. You'll see that the paste will turn to foam whilst brushing which leaves you with a nice minty taste. Essentially, by using the toothpaste right after the charcoal powder, it helps to protect your teeth from further staining throughout the day. For results it's not going to be instant but instead on a gradual basis. It took me a fortnight for me to see clear results. It doesn't contain any nasties which is great if you're after a product that's all natural, vegan friendly and cruelty free. The Ultimate Carbon Kit by Carbon Coco is available RRP $59.95 online via their website here. What's your secret to achieving whiter looking teeth? Labels: ACTIVATED, Blogger, CARBON, CHARCOAL, POLISH, TOOTH, TOOTHPASTE.